Unpack the archive to disk. After unpacking, the "tpaycom" folder should be created. Send the "tpaycom" folder and its contents to the app/code directory of your Magento store. If the "code" folder does not exist, you should make one. Go to store configuration tab Stores->Configuration. 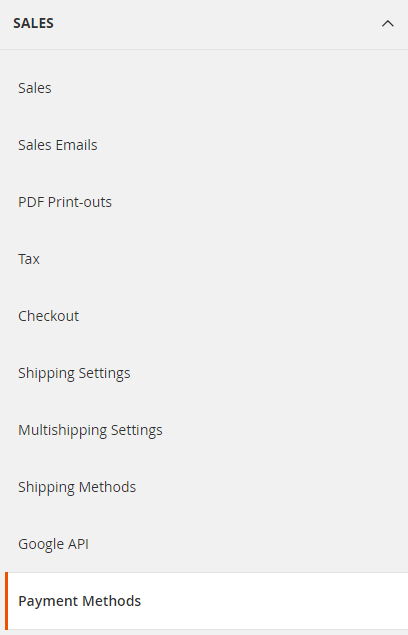 Navigate to payment settings tab in Sales -> Payment Methods. 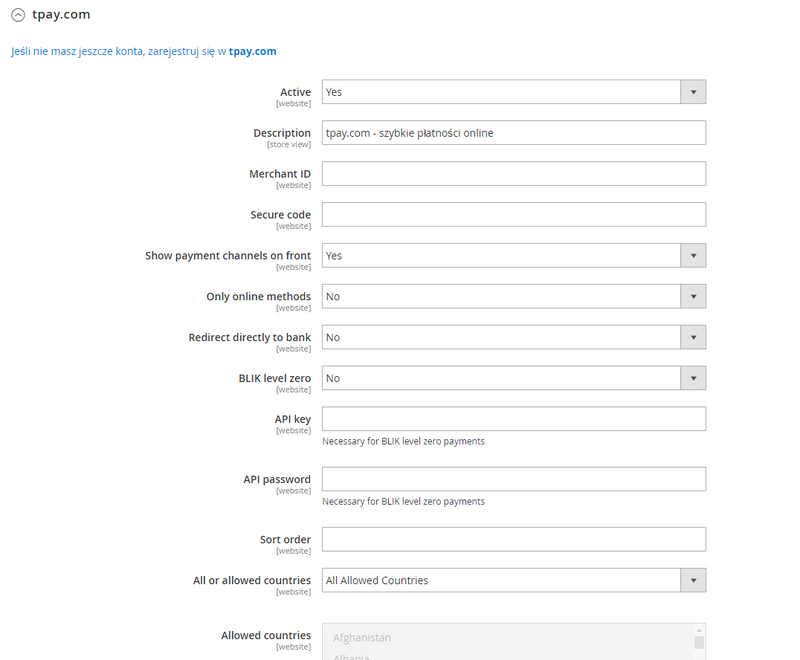 Choose tpay.com from the list and fill in required settings. Merchant ID – your merchant ID in tpay.com system. Secure code – type in security code from Merchant Panel (Menu->Settings->Notifications->Security code). Show payment channels on the front – Once you select this option, your payment list will appear on your store page. The customer will be redirected directly to the payment method selected. Otherwise, the customer will choose the payment method after redirecting to tpay.com. Only online methods - By selecting this option, the customer will choose the payment method from among those that provide current accounting. Redirect directly to bank - with this option selected, the customer will be redirected directly to bank login site instead of tpay.com payment panel. BLIK level zero (optional) – allows customers to make BLIK payments on the store without any redirecting. API password – API key password. All or allowed countries – allows you to determine specific countries availability. 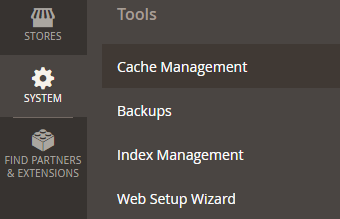 After installing and configuring our payment gateway you should flush all Magento cache. 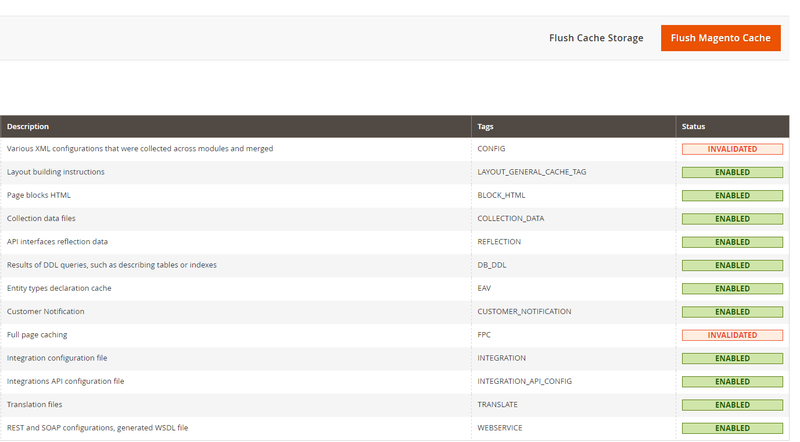 Go to System->Cache Management tab nad click on "flush static files cache". 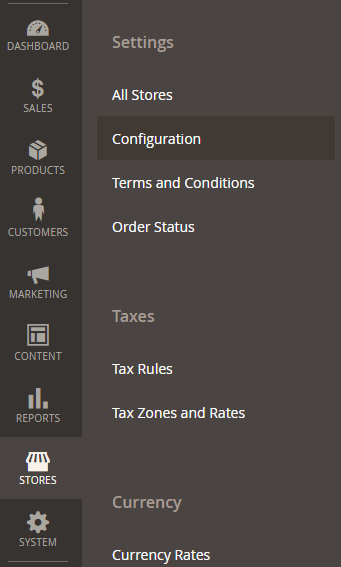 Then in the top right corner, you have to select "Flush Magento Cache"
You can create online refunds from order details view at Magento administration panel. Fill in refund details and click on "Refund".